Erase the memories of that dreaded tattoo with the most powerful and effective LASER available on the market! Treats ALL colors – black, blue, green, red, pastels and all variations and for ALL skin types! All treatments performed by Dr. T.G. Khan – a board-certified physician and surgeon with special expertise in laser medicine. 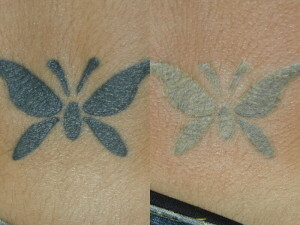 • Most powerful, effective tattoo-removal laser on the market- The Laser Your Tat Laser System. 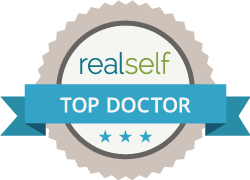 • Board-certified physician & surgeon – Dr. T.G. Khan – with over 15 years of experience using numerous LASER systems and devices. • More effectiveness means less treatments, less pain, and less scarring! • All this equals better results and happy clients. Our appointment coordinators are available from 9am to 9pm everyday to answer your questions and schedule your treatment. Consultations with the doctor are FREE for a limited time only. Call 201.313.8899 for a complimentary consultation with our physician or email us at: [email protected]. We are conveniently located right next to the PATH station at 79 Hudson Street, Suite 301, Hoboken NJ 07030. It seemed like a good idea at the time, right? But now that tattoo is just a reminder of something (or someone) you’d rather forget. Now that the memory has faded, it’s time to fade that tattoo and get it lasered so you can move on in life and leave the past behind. The truth is that while estimates show more than 10 million Americans have at least one tattoo, 50% of them later regret it. Whether it’s a reminder of a past relationship or a drunken night out or the younger, foolish days, now there is an effective solution. Luckily tattoo removal procedures have come a long way in recent years and now the Laser Tattoo Removal most Edgewater and Hoboken clients prefer is available at the Edgewater and Hoboken Cosmetic & Laser Centers.